Search engines love fresh, new, original content. That’s why search engines love blogs. We include one with our Premium and Enterprise Plan (and as an add-on to the Essential Plan). Of course not! Twice per month we’ll make a blog post on your behalf. Granted, that same post shows up on hundreds of other websites, so it doesn’t get the search engine leverage that an original, one-of-a-kind blog post from you would garner. So, additional blog posts from you, your team or even your patients can be very helpful. If you’re a Premium client, you’ll also receive custom blog posts written on an as needed basis as part of our Content Marketing service to further enhance your SEO. And every blog post published to your website, whether written by you, the Perfect Patients writing team, or a staff member, is automatically shared to your Facebook and Twitter accounts instantly increasing its exposure and encouraging engagement with your followers. 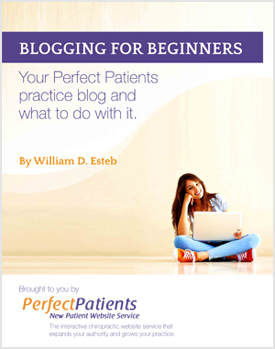 If blogging is new to you or you’re not a Perfect Patients client (yet) we’d like you to have a copy of Bill’s Blogging For Beginners eBook. In it, Bill answers virtually every question you might have about what to write about, how frequently you should post new blogs and step-by-step directions on how to make your first blog post on the Perfect Patients platform. 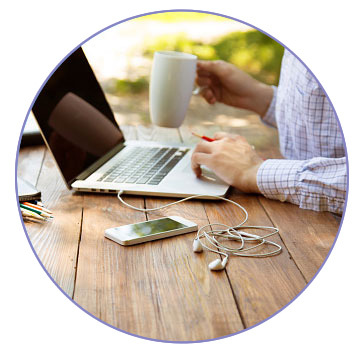 Ready to learn more about how the Perfect Patients service can work for your practice? Contact us today.